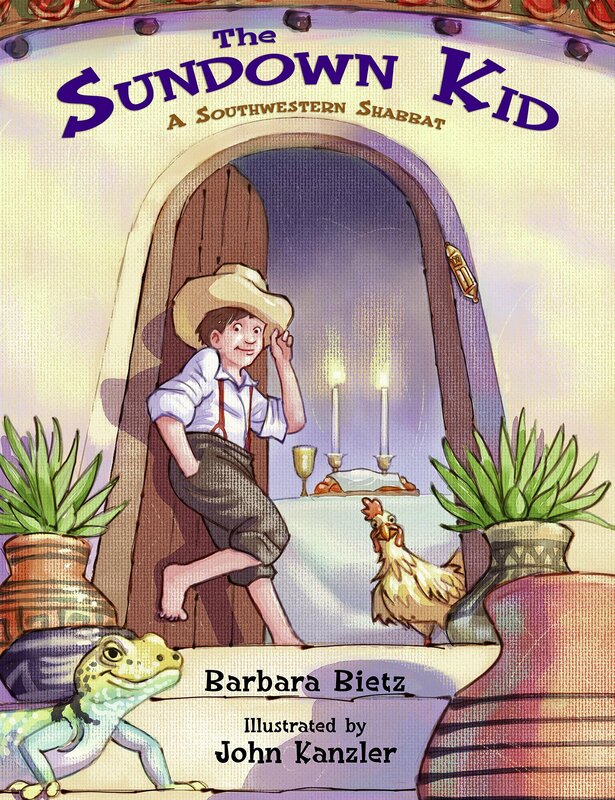 I have a new book coming out in January ’17 called THE SUNDOWN KID: A Southwestern Shabbat. It is written by the wonderful author Barbara Bietz and published by Little Folks, an imprint of August House. A family moves west in the 1880’s and experiences the wide-open spaces in this newly settled part of our country. It is a little TOO wide-open for the mother, however, who misses her extended family, particularly during traditional shabbat meals. The child empathizes with her, and decides to help by bringing together new neighbors and townsfolk to celebrate shabbat with the family. THE SUNDOWN KID releases on January 7, 2017. You can see it now on amazon.com, and also by visiting August House’s website. Also, you really MUST visit Barbara Bietz’s website and see why I was so happy to work with her!